When it comes to decorating your home, there are a lot of things to consider before splashing out on an item like wooden window shutters. If you’ve already decided that you don’t like curtains, you’re left with a choice between blinds or shutters. With so much choice, it could quickly become overwhelming. 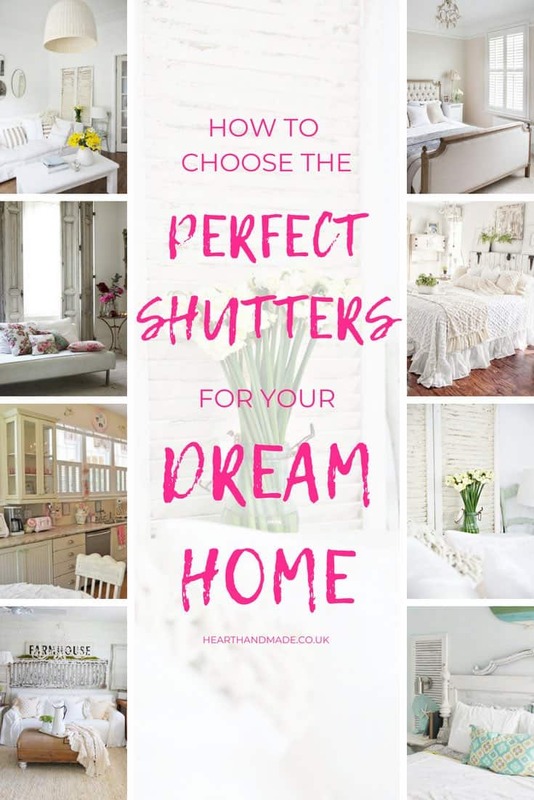 Personally, I hate blinds, so I’m going to share a few tips with inspiration to help you fall in love with shutters because I’m 100% biased towards shabby chic style. I love natural light, and I also suffer from sleep problems; with shutters, you can open those bad boys for the most amount of light possible and close at night to stay in darkness. Do Wooden Window Shutters Always Need To Be Attached To A Window? 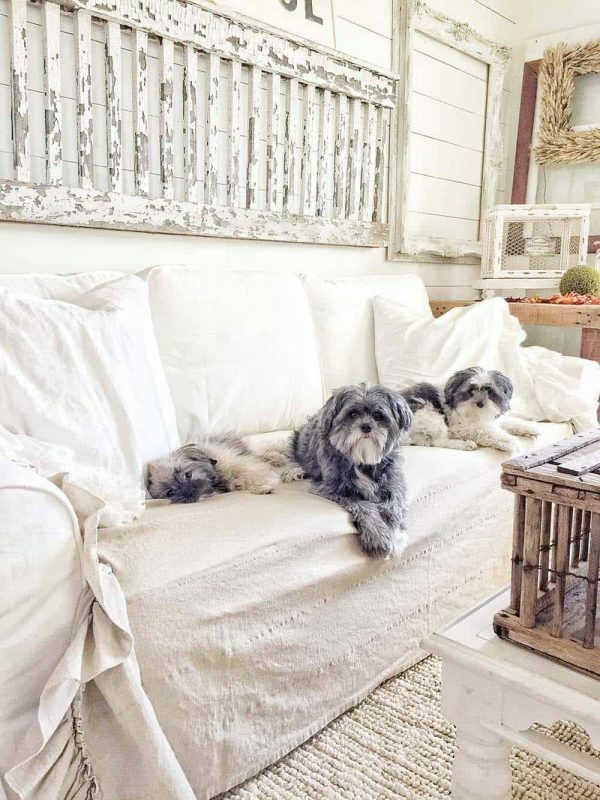 Judging by these images by Sarah from ABeachCottage blog or the gorgeous photos from Simply French Market, I would say, absolutely not. 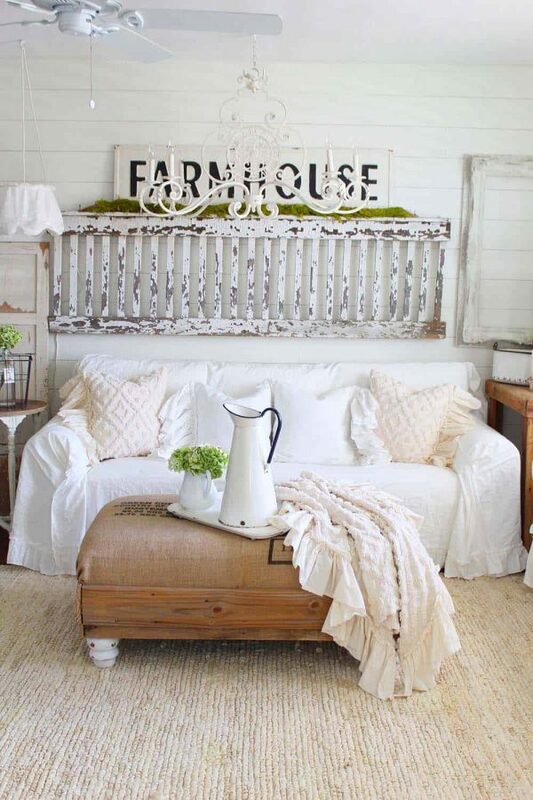 If you’re a fan of shabby chic home decor or farmhouse designs, then you will be familiar with the idea of using old wooden shutters and doors as a decorative element in the room. 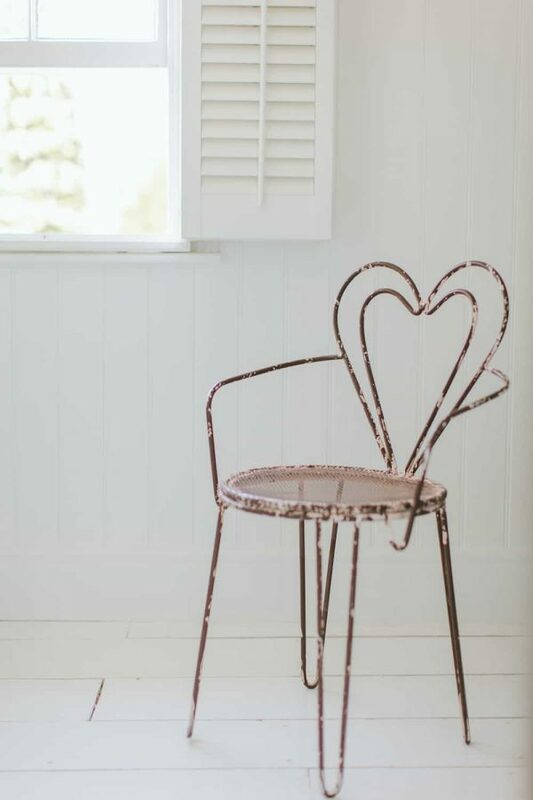 I love this idea from Shabby French Market! 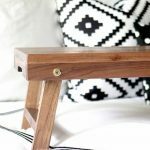 These wooden window shutters were turned into some pretty and practical bedside tables via The Ragged Wren. Simply French Market has done it again! 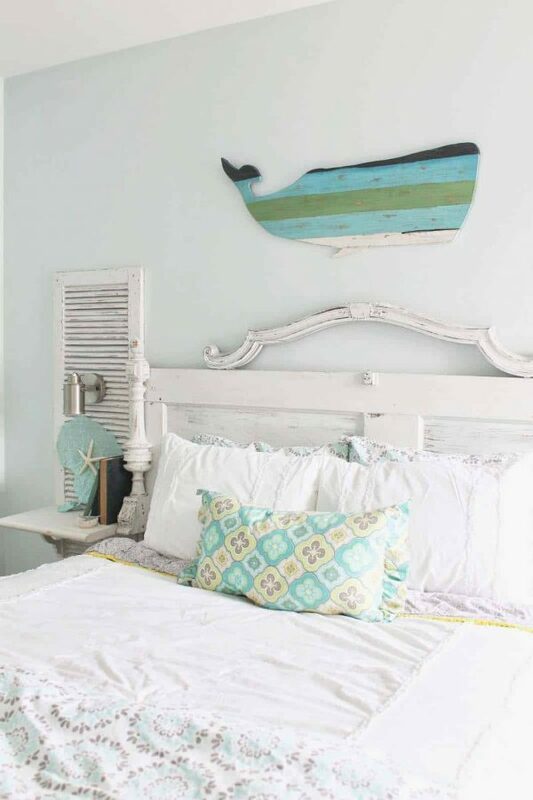 Turning some beautiful vintage wooden window shutters into a headboard. 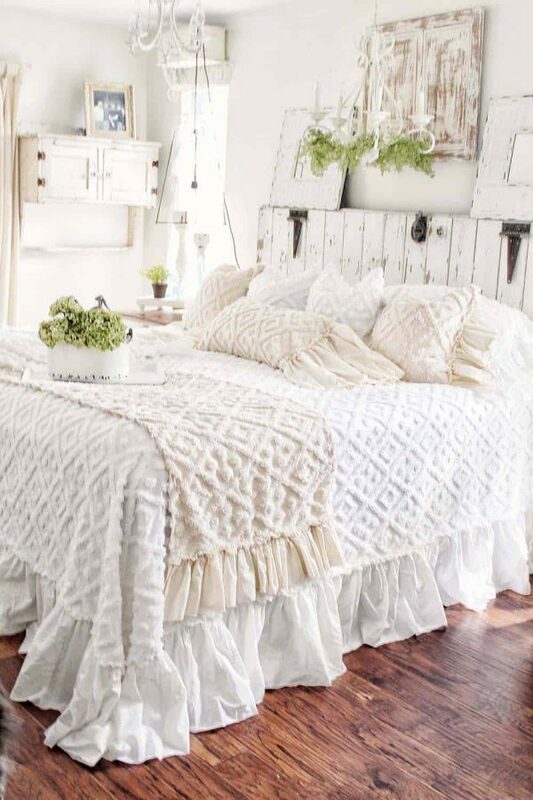 It makes a gorgeous decorative element in this stunning shabby chic bedroom. How Do You Choose Between Blinds Or Shutters? The size and length of a window you want to dress obviously have a significant bearing on the type of window dressing you’re going to choose for your home. If it’s enormous, for example, french doorways or bi-fold sliding doors, stylish vertical blinds are the most practical alternative. On the other hand, if the window is arched, round or surprisingly formed, bespoke shutters will enhance their architectural splendour. 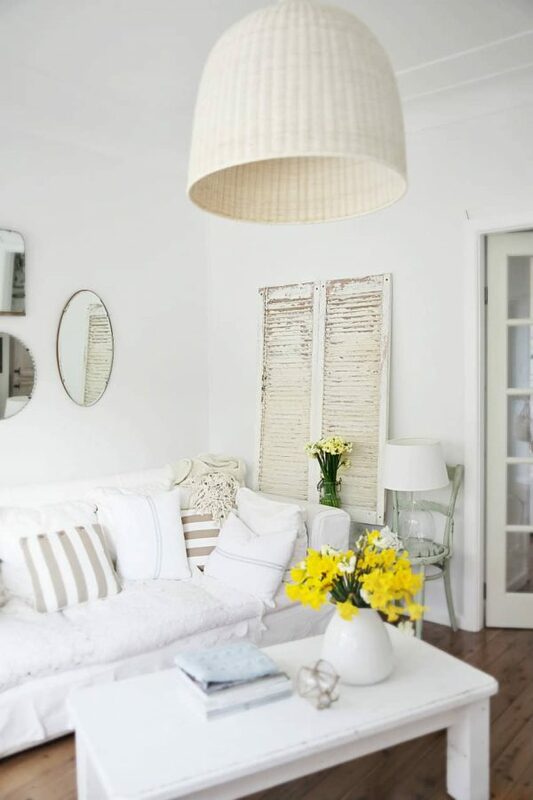 This image from Rachel Ashwell is a perfect example of how large windows can benefit from these beautiful shutters. Which room would you like to put your add shutters to and what’s the purpose of the room? Like my personal example, you may want to add shutters to your bedroom to help regulate the light much better and provides privacy. In my mind, fashionable louvred shutters are the solution. You can find the perfect shutters from a store like Wooden Shutters Direct. Whether it’s a bedroom or bathroom, there are custom solutions for you. 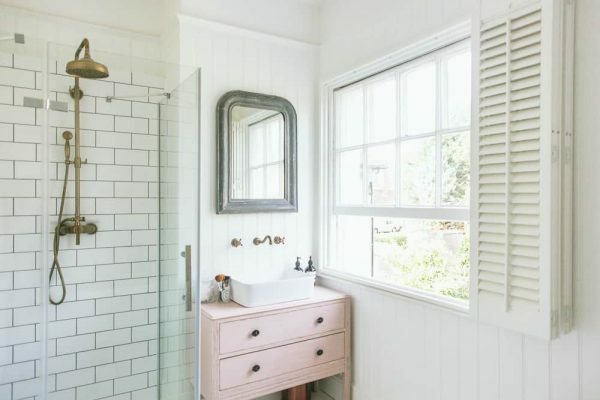 When I was researching shutters for my own home, I discovered this stunning bathroom from Rock my style, images by Adam Crohill. I fell in love. The room that brought me over to the dark side! How do you choose what type of shutters to use in a room? 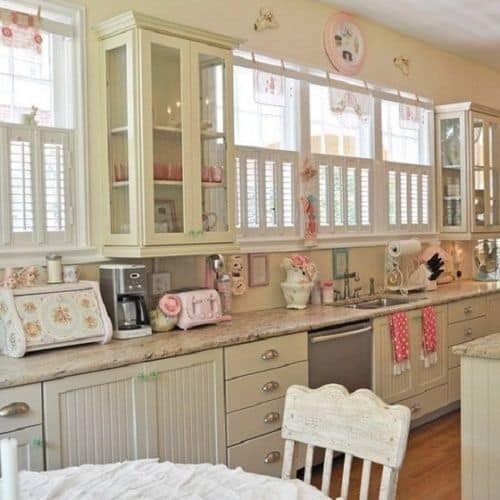 A front facing room or bedroom shutters are going to be different from kitchen shutters, as their purpose is different. Lighting and privacy are essential. As an example, I want to share the bedroom from the house tour on Rock My Style (previous image). 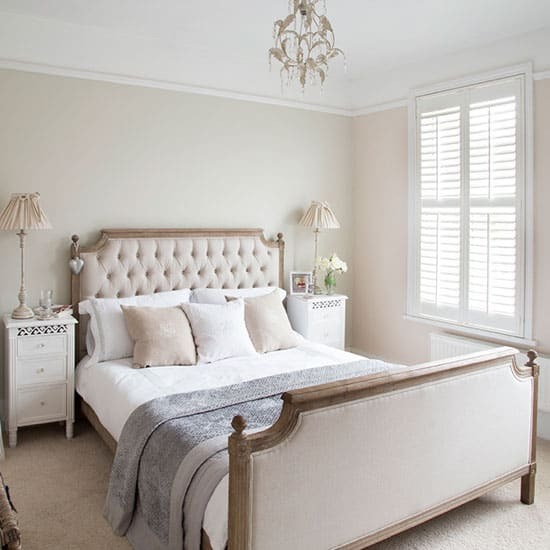 It’s a stunning bedroom with beautiful plantation style shutters. Along with this beautiful window seat in a front facing window. Whereas, Jennifer Hayslip decided to install a cafe style, half shutters in her kitchen. Using Cafe style shutters means a lot of the room stays private and you can peek out over the top to keep an eye on the kids if they’re playing in the garden. If you have bi-fold doors in your home, shutters are a perfect choice. I’m a very private person, so choosing shutters for bi-fold doors would be high on my list of priorities. The choice between blinds and shutters comes right down to how you want your room to look. Perhaps you’d like your home windows to be flawlessly clear and unfettered during the day, so a blind is the better alternative. 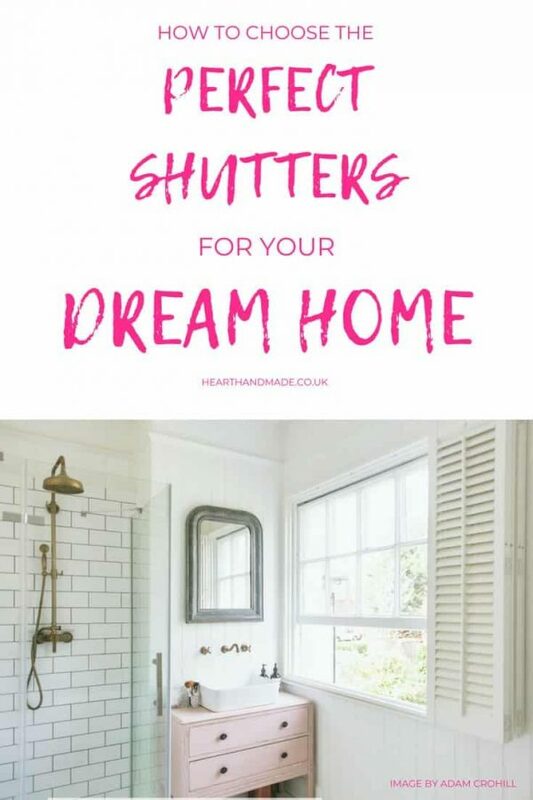 Alternatively, you may love the streamlined appearance of shutters that works in both traditional (shabby chic) and modern (sleek) interiors. Ultimately, there’s no right or wrong choice; you just need to pick out the window dressing which is right for your home and budget. 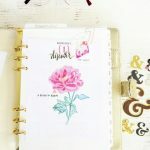 The Ultimate Mini Guide To Planner Decorating For Beginners! 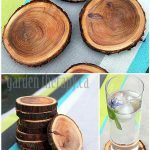 15 Last Minute Homemade Valentine’s Day Gifts To Start Making Today!